Soul fit is a fitness studio that genuinely cares about the wellbeing of members. I’ve been a member for over four years. 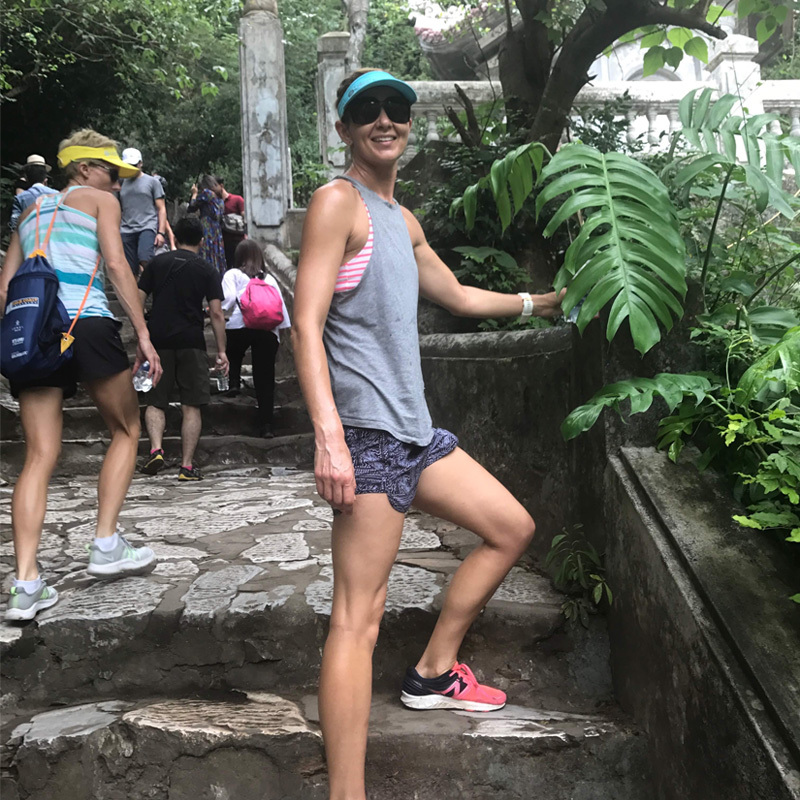 During this time Alita, Alex and the wonderful trainers have supported my fitness goals by creating an environment that meets my needs as a busy mother with a demanding career. I’ve always loved being active and with the many timetabled classes, childcare options and lots of understanding, I’ve been able to maintain a high level of fitness at Soul Fit. They really do make maintaining an active lifestyle easier! I find all the classes challenge my strength and fitness ability. My favourite is the one hour outdoor ‘cross-train’ class on a Tuesday, where no two sessions are the same. I love training outdoors, but appreciate the indoor option when the weather is bad. We can encounter anything from sand hills, swimming, tug-of-war contests to slam ball workouts. Another bonus is that my kids enjoy playing with a childminder so I can always make (and complete) the session. I also enjoy smashing out some kilometres on the treadmill in the studio on a Sunday (which is handy as my husband is a shift worker and my kids are entertained in the childminding area). All these benefits, plus some great nutritional and training advice from Alita, has assisted in me achieving numerous fitness goals. I’ve run four half marathons, four triathlons and I’m currently training for a marathon. All these I’ve completed with my BFF (best fitness friend) and Soul Fit member, Hayley. Soul Fit is a gym truly made by women for women. You are not valued at Soul Fit by your weight, six- pack (or lack of) and ability, but encouraged to be the best version of yourself. They genuinely care about your health and wellbeing and that of the wider community. The positive by-products of this approach for me are a high level of fitness, excellent health and fantastic friends.